We are offering Kashmiri Chili Powder to our clients. We are manufacturer and supplier of Kashmiri Chilli Powder. 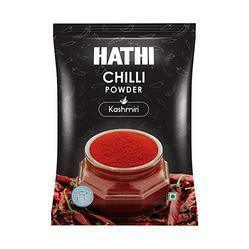 We provided a comprehensive range of Kashmiri Chilli Powder. We manufacture Kashmiri Chilli Powder from best quality Kashmiri Chillies. 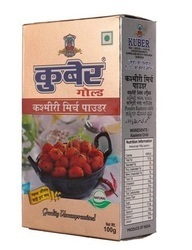 These Kashmiri Chilli Powder are widely used in various dishes to add flavor and color. With rich industry experience and knowledge, we are manufacturing, exporting and supplying a qualitative range of Kashmiri Mirch Powder. Best quality powder made from high quality chillis. No artificial colours. 100% natural. With a main aim to accomplish high level of patron trust, we have been engrossed in providing a vast assortment of Kashmiri Red Chilli Powder.